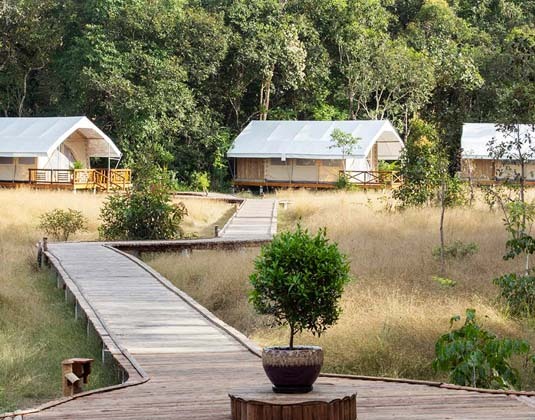 Located inside Botum Sakor National Park, this eco-camp is ideal for adventure enthusiasts keen to support the efforts of Wildlife Alliance and the local community by participating in conservation-related activities that protect the evergreen forest and its animals. 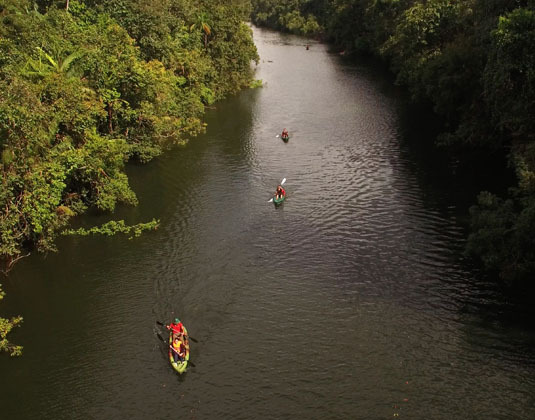 Activities include guided hikes along abandoned poaching and logging trails through dense forest, home to macaques, gibbons, hornbills and more, along with kayaking on the Preak Tachan River. 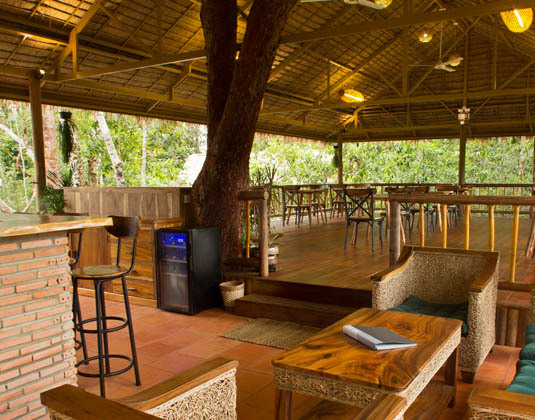 The comfortable safari-style tents are fully enclosed with bathroom facilities and spacious patios with sun chairs, and the open-air restaurant offers an assortment of delicious local Khmer and international dishes. 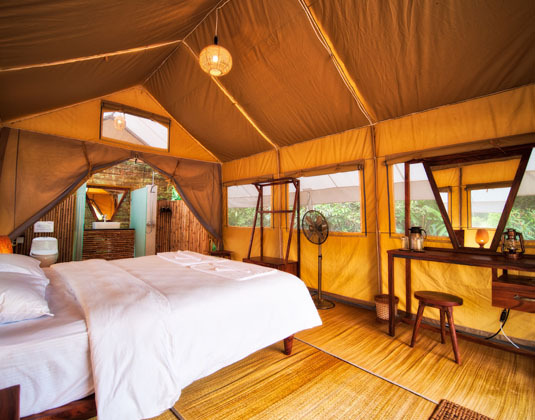 In safari-style tents, which are set up on a raised platform, with rain shower, fan and spacious deck. There is no air-conditioning or television in the tents. 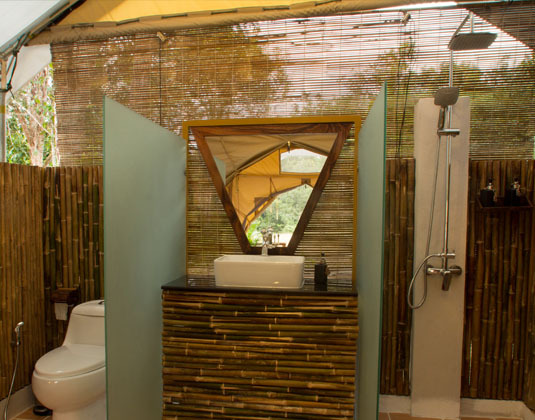 In addition, the solar-powered camp cannot support hairdryers; however, you can charge cameras and phones. Full board including water, coffee and tea. 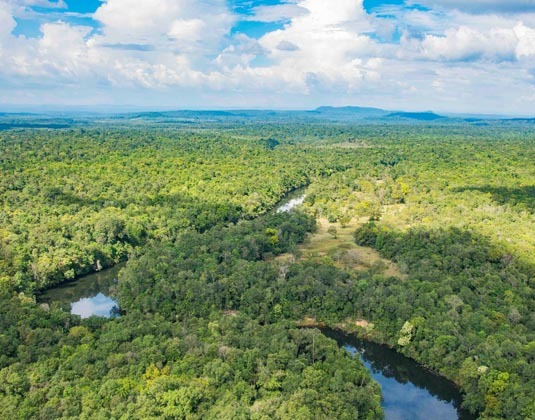 4 hours by road from Phnom Penh to Trapeang Rung and then 30 minutes by boat to the camp. Limited luggage capacity on the boat and in tents, but can leave large items at Trapeang Rung. Children 0-7 years not permitted. 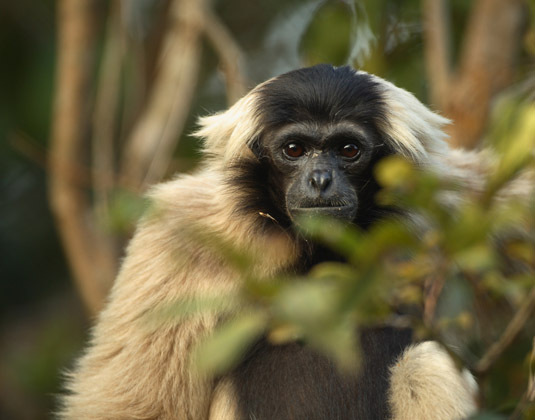 FREE guided half day hike: With Wildlife Alliance Rangers.